I bought 2 loads of blue gum from Woodstocks last year for the first time & it was all good, clean, dry stuff with no rubbish in it. The service and delivery was prompt & efficient, Ill definitely be buying from them again. Dear Chrissy, We would like to let you & your customers know that the wood you delivered to us a couple of weeks ago was of excellent quality, quantity & dry! We will be back to order more…so good luck with your business. Woodstocks have supplied the firewood for our homes in both Napier & Hastings for the last 4 years. The wood is cut to a manageable size for our staff & clients. It is dry & above all they deliver with a smile! Woodstocks are a provider of the best quality wood in Hawke’s Bay. Their service is pleasant, helpful and they have taken the time to research into the kind of wood that you need. 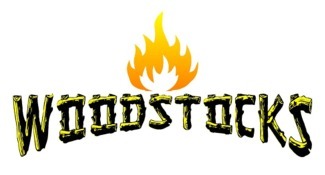 I would recommend Woodstocks to anyone wanting a reliable & personal service. It is good to know that when you purchase your winter firewood from Woodstocks you will get well seasoned & dry wood. You will be getting another order from us this year as we also appreciate your prompt service with a smile. Thank you Chrissy & John. We have been buying our annual supply of firewood from Chrissy at Woodstocks for some years now, over this time we have enjoyed not only good quality firewood but a great relationship with Chrissy. When she asked if we would furnish a reference for their website I gladly accepted. Prior to buying our wood from Woodstocks we had smp1y opened the newspaper ad chose our wood supplier at random mainly based on price and the blurb in their advertisements, as a result we normally received very random quality quantity and service from these suppliers which more often than not did not meet our expectations. Woodstocks make it easy for us to buy from them, we have always received good sized loads of good quality dry wood, they know we like to get our wood into our shed prior to Christmas so we always receive their phone call in November to make the arrangements for our order and de1ivery. Chrissy is great to work with, she understands what our needs are and will always endeavor to meet them where she can. Hi To the team at Woodstock Firewood Merchants Limited. It has been many years since I had the need to find a new person to take care of my Heating needs. I was attracted to your advertisement in the H.B Today as it portrayed a humane understanding to the economy. A clear message of help and quick friendly service was also indicated. For a person like me with a Chronic Respiratory problem, Heating for the winter is a Top priority concern. I would like to thank you Chrissy for the extras you do for your customers, and your friendly way of service, it reminds me of how good business was done in the old days. So Thanks to you all at Woodstock, for your honesty re: the condition and the pricing of your wood and also recognizing that all people are at different levels with their budget and being patient enough to work along side them. I will certainly be happy to stay as a customer and enjoy many years of your good service. Prompt friendly service, no hassles, dry wood, no complaints, and supplier of first choice. I was impressed with the level of customer service when I ordered my winter wood. Chrissy called to let me know when the wood would be delivered and when I got home there was a pile of perfectly seasoned wood exactly where I wanted it. Many thanks for your prompt service. friendly service our family has been kept very warm and cosy over the last 5 years. We were directed by word of mouth to contact you two winters ago when our wood ran out early and we were unable to find further dry wood. Not only was delivery prompt, but the wood was dry and ready to burn immediately. Most impressed that there seems to be a readily available supply no matter what time of year we order it Your fridge magnet has remained in sight ever since and we don’t hesitate to recommend you as quality wood suppliers. Many thanks for your service. We have been ordering firewood from Woodstocks for three or four years. It is always excellent wood. With Woodstocks “dry” means dry. Woodstocks (Chrissy) has real expertise in advising which wood would suit best. It is great to have a very professional wood supplier to rely on. Thank you for always taking the time to remind us to order our wood - without this timely prompt we would be scratching around trying to find dry wood at the worst time of the year! We always remark on how great it is that you remind us what we ordered last year and ensure that we get the right size split for our wood burner. It is always a pleasure doing business with a firm that really care and I know the friends that we referred on to you feel the same way! Keep up the good work! I have bought and used seasoned firewood from Woodstocks for a number of years now and have found it to be great for heating our home it burns for a longer period of time than most other wood and produces an abundance of heat. We would never dream of using any other wood to heat our home other than supplied by Woodstocks. Chris and John are great to deal with as well.